When Bisharp was introduced in the 5th generation, it was immediately popular due to it's great design and unique typing. Lots of players quickly found out, however, that Bisharp's appeal ended with it's design. The meta game quickly left it behind in terms of power and speed, and the dominance of fighting types was the final nail in the coffin for it. Bisharp couldn't compete with the rest of the physical attackers and it's typing and lack of a useful ability wasn't doing it any favors, but all of that changed with the release of Pokémon X and Y. The changes made in 6th gen were all mostly in Bisharp's favor. Fairy types have made its Steel type STAB moves more viable, although they resist its Dark type STAB, which is arguably its stronger, more useful STAB. The changes to Steel typing have also made Dark and Ghost types a more prevalent force in the meta game, as Steel types no longer resist Ghost and Dark type attacks. The boost to Knock Off's power from 20 to 65 and 97 if the opponent has a held item has given Bisharp a very powerful tool for crippling and even KOing opponents. All signs point to Bisharp being a great Pokémon this generation, however the same problems that plagued it during the previous generation still hinder it now. Bisharp's low speed force it to rely on Sucker punch to outspeed threats, and although it's a very powerful priority move, it's predictable and unreliable at times. Bisharp's poor bulk and weakness to fighting and fire type moves also limits the amount of switch-in opportunities it has. None of the drawbacks are enough to outweigh it's strengths; A great base 125 attack stat, powerful STAB moves, and being the only Steel type in the game that still resists Dark and Ghost type moves.That makes Bisharp a very threatening Pokémon this generation. In terms of immediate power, this is Bisharp's best set. Knock off becomes an incredibly powerful and crippling move with a Choice Band equipped, and it OHKOes anything that it hits super effectively. Anything that survives the Knockoff will either be in KO range for a second Knock Off or, worst case scenario, be severely weakened and without an item. Bisharp's ability Defiant also helps out a lot against Pokémon like Aegislash, getting +2 attack when using Knock Off against King's Shield. It also boosts Bisharp's attack against Pokémon with Intimidate and teams that use Sticky web, essentially giving you a free Swords Dance. If you get lucky enough to get a Defiant boost, there is very little that can stop Bisharp from KOing two or more Pokémon. The biggest drawback that this has is being locked in to one move, as the ability to use Knock Off and follow up with a Sucker Punch or Iron Head is very important. This means that conserving your Bisharp until late in the battle or only letting it KO or cripple one or two Pokémon is the best way to use Bisharp. This is not hard to do with a proper team and support, and sweeping the remainder of your opponent's team late in the game is very possible with Sucker Punch, which is one of the strongest priority moves in the entire game. Pokémon to watch out for with this set are mostly Pokémon that are very Bulky or resist your STAB moves. Azumarill can be very dangerous when at full health, as even an Iron Head can't OHKO it, and most Azumarill run Superpower and can generally force you out. Being locked into any move besides Sucker Punch means Talonflame can OHKO Bisharp with Flare Blitz. Other than that, Pokémon like Mandibuzz and other very physically Bulky Pokémon can cause Bisharp problems, especially Hippowdon, as it can easily 2HKO with a STAB Earthquake. What this set lacks in raw, immediate power, it makes up for with flexibility. It's not very hard to find a chance to set up a Swords Dance or a Substitute, especially with an immunity to Poison and Psychic type moves and a resistance to the ever-popular Ghost and Dark type attacks. 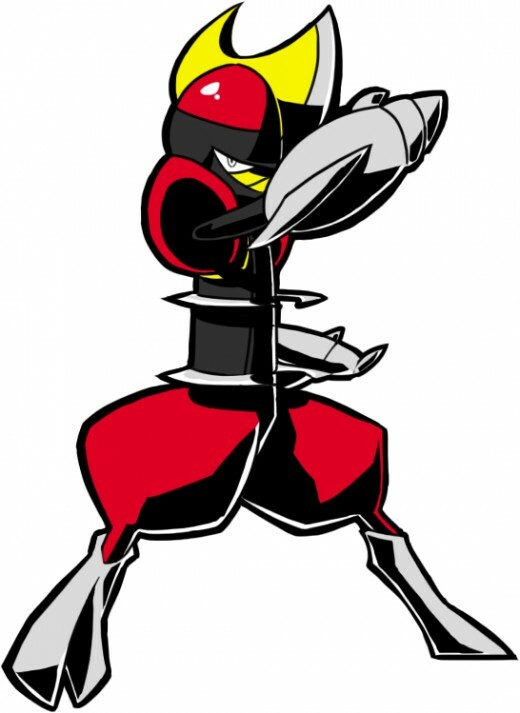 After one Swords Dance, Bisharp's Attack reaches 766 with an Adamant nature. 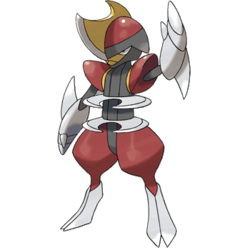 This, combined with a Life Orb give Bisharp many opportunities to KO opposing threats, and with a powerful, albeit unreliable, priority move in Sucker Punch, there is very little that can stand in your way. The main problem with this set is trying to find the right four attacks that give you the most coverage, and the most set-up potential. Giving Bisharp Pursuit also ensures that a lot of frail Pokémon and both Latios and Latias are KOed on the switch, and will make your opponent think twice about switching in a counter. Speaking of Counters, while Bisharp doesn't have many Counters, especially after a Swords Dance, there are Pokémon that not only give it a hard time, but can OHKO it or Phaze it out without fear of it's STAB moves. Pokémon like Infernape that resist both of your STAB moves and can easily KO Bisharp with either of it's STAB moves are especially dangerous and can force Bisharp to switch. Fast Taunt users such as Thundurus and Deoxys-S can predict your Swords Dance or Substitute and stop your set-up, and proceed to either inflict Bisharp with Status or start stalling you out of your Sucker Punches. Heatran also doesn't fear much from Bisharp, as it can Roar Bisharp out after using swords Dance and keep Bisharp from switching in comfortably with the threat of a STAB flamethrower or Earth Power. Keeping Bisharp safe until late in the battle is very important for this set, as it can be the difference between winning or losing in some cases. When choosing the right teammates for Bisharp, or when trying to figure out where to place Bisharp on an already established team, it's important to cover Bisharp's weaknesses and deal with Bisharp's counters. This means that you might be using bulky stall Pokémon to spread status around your opponent's team and set up entry hazards, which can make all the difference late in the game when attempting a sweep. It's also a good idea to keep some fast powerhouse Pokémon on your team,to help KO or scare off some immediate threats to Bisharp, keeping it safe for the duration of the match. Talonflame is an excellent partner for Bisharp, as it has high speed and can force many switches with it's priority Brave Bird and STAB Flare Blitz. It's Flying typing means that it can switch in on some of the fighting type attacks that scare Bisharp and Roost off any damage and proceed to severely dent Pokémon with a combination of Brave Bird and Flare Blitz, or simply U-Turn and keep momentum. 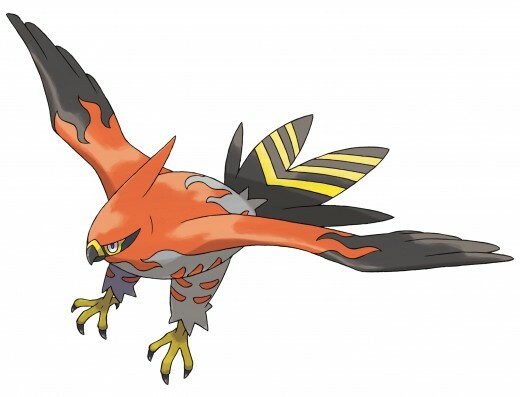 Talonflame is also resistant to the Flamethrowers and Fire Blasts and immune to the Earthquakes and Earth Powers that Bisharp has to watch out for, making it an effective switch in for Pokémon that are Choice locked into those moves and proceed to set up a Swords Dance or Bulk Up. One thing that plagues both of these Pokémon is overall low bulk, and even resisted moves can 2HKO at times, so playing with these two as partners requires careful planning. 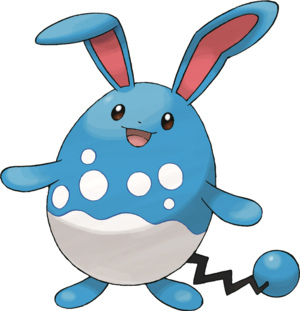 Azumarill is a great Pokémon to pair with Bisharp defensively, as it resists all moves that Bisharp is weak to except Ground type moves, but it's good bulk makes up for that. 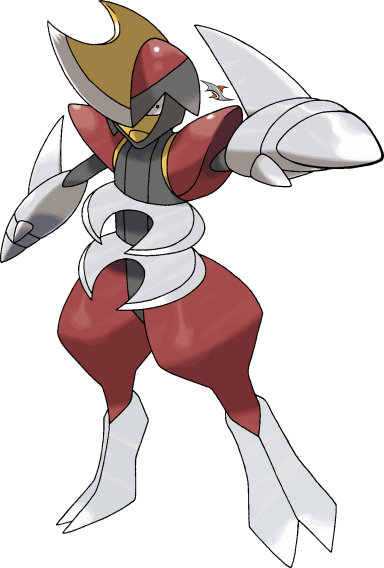 It can not only take many of the hits that Bisharp can't, but it can OHKO many of Bisharp's counters with it's extremely powerful STAB moves and it even has to great priority with Aqua Jet and good coverage with Superpower and Ice Punch. One important thing to consider is that both Bisharp and Azumarill work best with Choice Band set, but using both on the same team is very limiting and therefore not recommended. Make sure that when using Bisharp's Choice Band set, Azumarill is running a leftovers or Belly Drum/Sitrus Berry set, and when Azumarill is running a Choice Band Bisharp should be running its Swords Dance set. there isn't much this duo fears defensively, and the Combination of Fairy, Dark, and Water moves is enough to break apart most teams. Hippowdon is a great defensive Pokémon and has always been a good pivot on most Balanced teams. While Hippowdon doesn't resist the moves that Bisharp is weak to, it has incredible Physical Bulk and it can use a combination of Whirlwind, Stealth Rock, and Toxic to wear down the opponent's Pokémon. It's ability; Sand Stream also helps to wear down other bulky Pokémon and since Bisharp is immune to Sandstorm Damage it can provide the extra bit of damage necessary to turn 2HKOes into OHKOes. 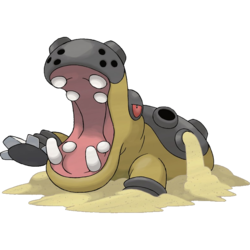 One thing to keep in mind when using Hippowdon is that it has less than stellar Special Bulk, which means that strong Water,Grass and Ice type moves can easily OHKO Hippowdon. Luckily, Bisharp resists both Ice and Grass moves so the only real threat is Water type moves like Hydro Pump, Surf, and the ever popular and especially dangerous Scald, which can cripple Bisharp and hinder Hippowdon's tanking abilities. This battle shows just how effective the Swords Dance set can be, especially against unprepared teams. Not that this Bisharp has Leftovers, which is always a good idea with a Substitute set. To sum up, Bisharp is one of the best Choice Band Pokémon in OU at the moment. 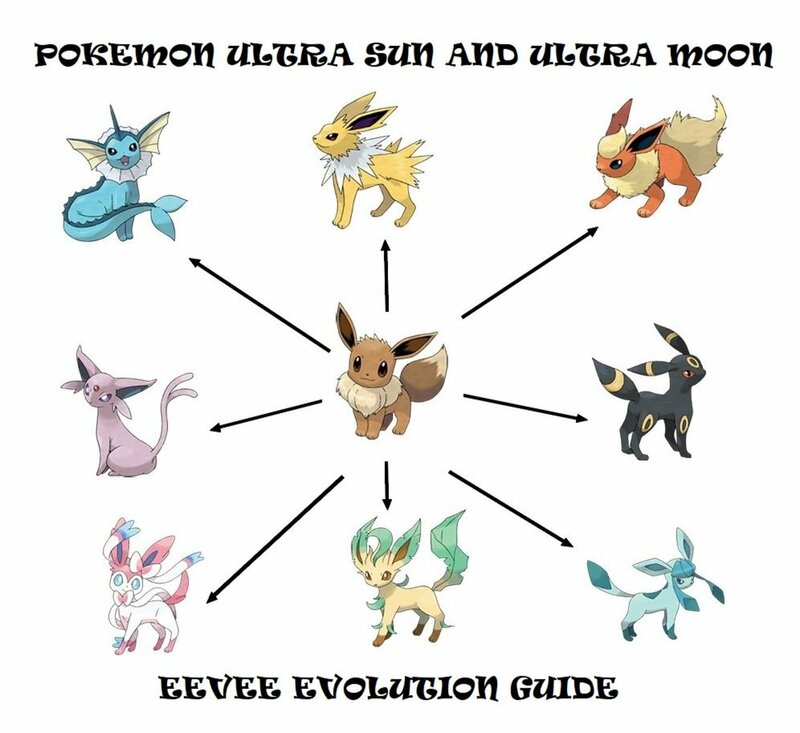 All of the changes that occurred in the 6th generation were in its favor. It has an incredibly powerful utility move in Knock Off and strong priority move with Sucker Punch. Although it lacks coverage, it's sheer power is enough to destroy unprepared teams. It may not fit on faster offensive teams as well due to it's low speed, but it works very well on balanced and more bulky teams., that help cover its weaknesses. All in all, the only amount of planning needed to effectively use Bisharp is covering its weaknesses and eliminating its counters. The rest is as easy as cleaning up the remainder of your opponent's team with Sucker Punch or Iron Head. 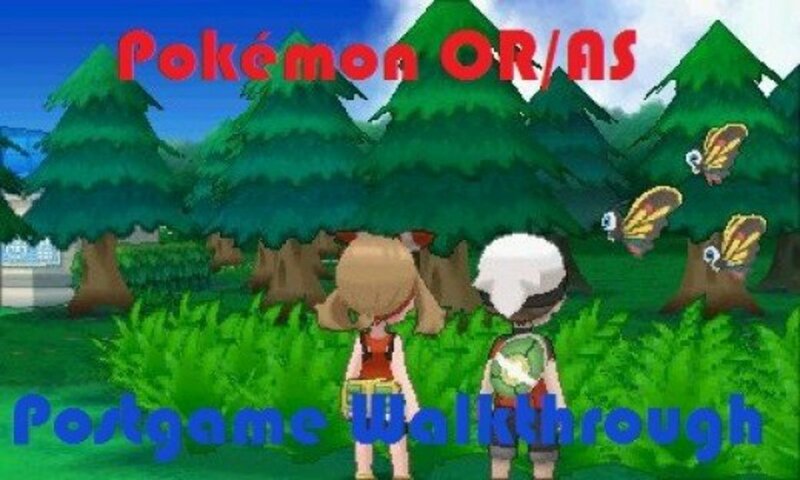 After some testing you'll find that Bisharp is a very simple and effective Pokémon. Great content! Very informative and in-depth! Hey, please someday make an analysis to (mega) banette...I'm thinking of having it in my team and I am a bit confused of what moveset to have on it.Your ideas and your suggestions will be very remarkable...I'm sure of it!! !